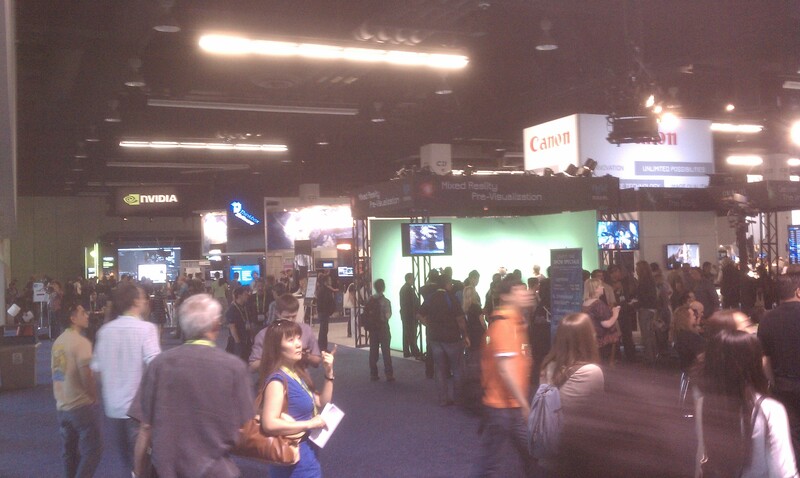 I took some time to attend SIGGRAPH 2013 yesterday. 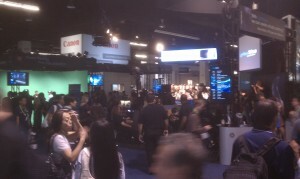 I have been to the event several times over the years and this year it was in Anaheim, CA – very close to where I live. So I drove out and took a look at the show floor. Having attended before I could not help but compare the booths and clamor to prior events. Like other events, SIGGRAPH appears to not be back to full vigor of the old days. There were plenty of the big firms there, but the exhibit hall was far from the large, extravaganzas it has been in the past. This does not mean that there was a lack of new tools, talent and technology. I saw plenty of exhibitors discussing cloud tools, offloading render farms, and anniversaries of some of the tech that has been around forever, like Poser (nearing 20 years) and Renderman (25 years). Plus some old friends at Bluebeam, 3DConnexion and Wacom. Here is the Renderman Timeline – sorry for the lousy image. Low light killed my images. I tried to find this on the net, but no luck yet. One booth that was packed – constantly – was The Foundry – check them out.